Generic but eye-catching with its blocks of yellow. Mostly galvanized unit with stainless steel headlight trims and center-grille with the Benze emblem. 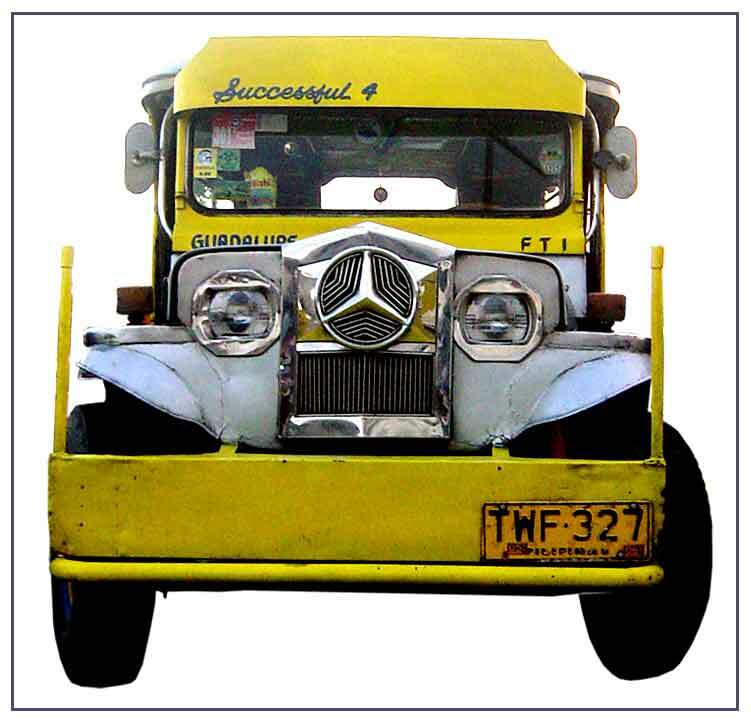 "Successful 4" perhaps is saying "life's been good" and it's the 4th jeepney.